He qualified as a social worker in 1991, and for a time worked with both young people and adults who have learning disabilities. 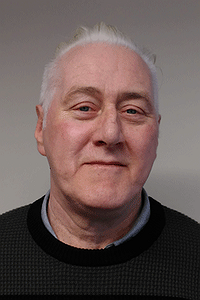 He moved to Powys in 2005, to work within the local authority's Learning Disability Team. While there he gained part one of the Post Qualifying Award In Social Work. When CAIS, in partnership with Kaleidoscope, won the contract to provide substance misuse services in Powys in 2011, he was appointed as the team leader of the Young Person’s Service. We were again awarded the Powys contract after re-tendering in April 2016.